Shop Meghan Markle’s THEIA Gown!! 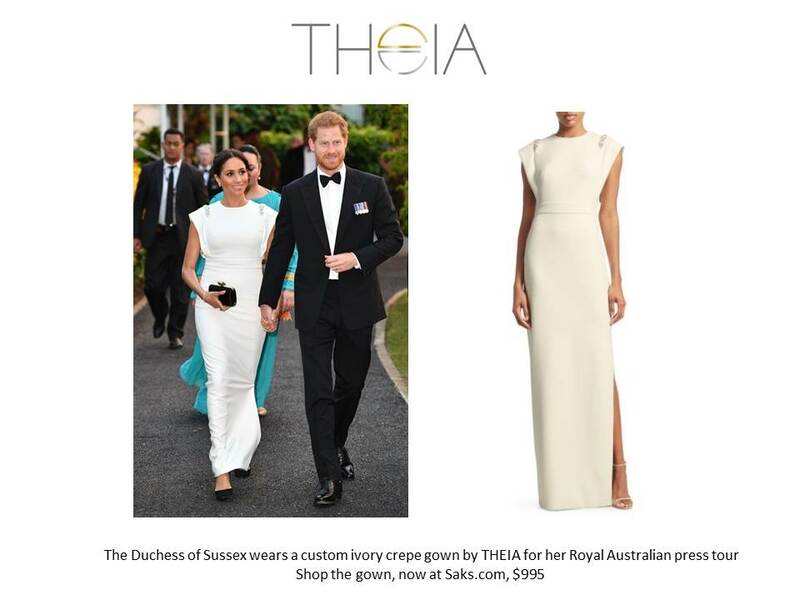 The Duchess of Sussex, Meghan Markle wowed us in October in a custom ivory crepe column gown with flanged shoulders, jeweled appliques and side slit from THEIA on her Royal Australian Press tour. The gown just hit stores, and is now available for purchase at Saks.com for $995. Perfect for an evening event, or bride! !